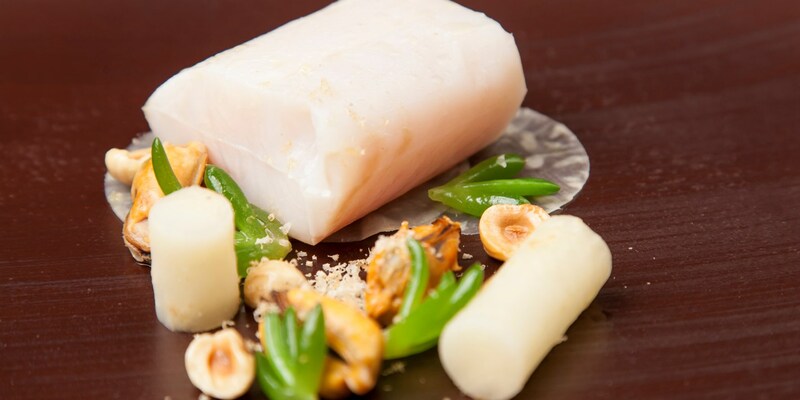 Pollock is a mild flavoured white fish caught in and around the North Pacific. It can be used as a sustainable alternative to other white fish like cod or haddock, but do not regard it as second best; it has a lovely flavour that can star in many dishes. Why not start with Nathan Outlaw's easy herb-crusted pollock main course recipe and then move on to more ambitious pollock recipes, such as Nigel Mendham's confit pollock with cauliflower, cockles and Parmesan, or Adam Stokes' pollock with kombu seaweed, sweetcorn and grapefruit.